May » 2014 » The Computer Company, Inc.
Why do Catholic Schools need dynamic eManagerSite websites? Historically, Catholic Schools have been at the forefront of scientific, educational, medical, and technological innovation. Ironically however, Catholic Schools sometimes are one of the slower adopters of this same innovation. This has proven true of the adoption and effective use of both websites and social media by most parishes. Why have our Catholic Schools been so slow to embrace the internet? I believe it is for the same reason that any of us fail to do something well – a lack of vision and thus motivation. In other words, without understanding the potential and importance of an idea, it is unlikely that we will be empowered to implement that same idea. Below are what I believe to be the top 7 reasons that Catholic parishes desperately need a dynamic website. When someone moves into town and they are looking for a Catholic parish, what is the first thing they do? They google “Catholic church, name of town, name of state“. So what is their first impression of our parish? The parish website! If our parish website is ugly, looks like it was made in the 90′s, or is poorly maintained (i.e., it still has information about last year’s Fall Festival on the home page), that new parishioner will probably be a new parishioner at another local Catholic parish whose website reflects “we are a beautiful, dynamic parish with a flourishing faith community”. What is one of the most important principles of evangelization and communication? Meet them where they’re at. If we want to be faithful and effective evangelists and catechists, we must go where the people are. So where are the people in our parish? Answer: online. The internet – websites, blogs, social media – are the primary source of information and means of communication today. If we embrace these mediums of communication, they will help transform the life of our parish. How often do you spend countless hours creating and preparing for an awesome youth night, bible study, or other parish activity and then wonder why nobody (or very few people) show up? Often, the problem is not that people are not interested in the events or ministry that we provide, it’s that they do not know about them! Let’s be honest – most people do not listen to announcements at the end of Mass or read the parish bulletin. However, a dynamic parish website, combined with the effective use of social media tools such as Facebook and Twitter and a robust communication tool such as email newsletters, will engage the majority of parishioners and increase awareness of the spiritual, social, and services opportunities available at the parish. And if we increase awareness, we will ultimately increase active participation! I know how much time is spent on administrative work each week. Flyers, permission slips, volunteer recruitment and coordination, tracking down payments…all tasks (important as they were) that required time that someone would have rather been spending doing “ministry”. With a dynamic parish website and by utilizing social media, a parish can greatly reduce the amount of time spent on traditional administrative tasks through more efficient and streamlined forms of communication. A great parish website improves stewardship. Firstly, we are more efficient so we are better stewards of our time. Thirdly, by freeing up more time, we are able to spend more time using our talents in other ways. Finally, if your parish website gives a good first impression we have a better chance of growing the number of families in our parish, which ultimately increases donations and your parish. By creating a dynamic parish website and using social media, we can become a more paperless parish. Thus, we will be doing our part to be a good steward of the environment. Regardless of how many hours we work and serve at our parish, we cannot be available around the clock. Not true of the parish website. The parish website is the one part of our parish that is open 24 hours a day, 7 days a week, 365 days a year. By creating a beautiful, dynamic website, you have an opportunity to evangelize and catechize at all hours of the day. eManagerSite is the perfect website builder for schools, colleges, and community organizations. Manage staff, notify parents, schedule events, integrate blogs and social media, and so much more. eManagerSite CMS is a complete website editing tool that fits any need – and any budget. Why do teachers need websites? In one word – communication! When my daughter Mary was in the fifth-grade, she came home with a report card that was, shall we say, less than impressive. This bright, hard working girl was getting D’s in social studies, science, and health. The first parent-teacher conference of the year was held ten weeks after school began, and it wasn’t until then that I learned of the problems she was having. A bit flustered, the teacher said she would get back to me. I never saw the list of competencies or test dates, but I also noticed Mary never received less than a B in her class again. While at the time I viewed this as victory for proactive parenting, I have since worried that the skills and knowledge Mary should have gained during that year fell by the wayside. Mary’s teacher missed a tremendous opportunity by not enlisting my help and the help of the other children’s parents in her class. Over one-fourth of the year was gone before I knew my son was having problems. Even had I known he was struggling, I did not know enough about the curricular content or teacher’s expectations to know how to help. Parents do want to help. They just need information. And technology can help you provide that information. Yes, a classroom website can improve communication between you and your students and their families. If you’ve ever run into problems with students not taking papers home to their parents, then you need a website! Websites are effective communicators! 1. A website is open for business 24-7. People can go to your website any day, at any time of day. It is convenient. Parents can read the homework assignments or the information about that upcoming field trip. The website will be working for you even when you are asleep! It saves you time and expense. There is no way that you could schedule conferences around the clock like that. A website can take the place of meetings, parent pages, newspapers, brochures, and announcements.Thus, a website expands your time. 2. A website gives you unlimited exposure. People in your community and even from half way around the world can visit your website. Parents can give your website address to relatives who live out of town.Thus, a website expands your range. 3. Because a website expands your time and range, people that you probably would never reach through any other medium, including other teachers, can see what your class is doing. They can contact you through your website. Your website will enable you to connect with other educators who share your interests.Thus, a website expands your resources. 4. Since the great majority of students is really interested in the Internet, a website can captivate their attention and challenge them to become more interested in their school work. In their eyes, a website is “totally cool.”Thus, a website can challenge your students to become more interested in their school work. Anything that will expand your time, your range, your resources, and also interest your students is bound to be worthwhile. Some people are afraid to create a website. They think that it is too complicated and beyond their capabilities. Please don’t let this kind of thinking stop you. The Internet is a golden opportunity for teachers. Don’t let it pass you by. You can get a free classroom website right here today! Here’s an opportunity for you to get started. eManagerSite is a CMS tool made for web designers and businesses. 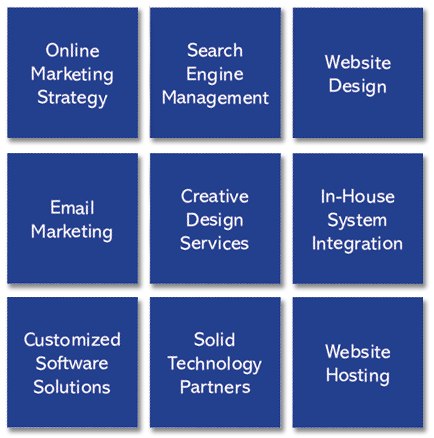 We set ourselves apart from other CMS sites by offering more than just website editing. We know it’s more than just a website – it’s your digital workplace. After nurturing that concept, the eManagerSite officially went into beta in late 2013. We’d love to welcome more busineses and organizations onto our CMS platform, and to have more web design and marketing agency partners.We strive to be the best business website builder for your needs. eManagerSite’s management features are optimized for keeping track of website content, employees, and customers. Registration Forms. These forms can then be synched with our built-in email tool or outside programs like Excel to organize data or communicate information. Employees: Unique user logins allow different employees to edit different areas of the site — so a department can be allowed permission only to its appropriate pages and functions. Our included email marketing tool can send out and keep track of internal emails and internal email campaigns to ensure privacy and security. Have as many intranet or extranet sites as needed to keep information away from the public but still displayed on a beautifully organized site. Customers: Manage customers easily with our CRM tool. Our tool holds thousands of customer names in our database, and syncs customer data from our E-Commerce and Email Marketing modules. Get a hold of important information fast using our Search function.